Some of the great tools they use to give you the knowledge you will need to have not only a successful career but a successful business are some of the events and groups that this school has that most do not provide. Such as an Annual Fashion show, team and individual competitions, professional guest speakers, field trips, volunteering and community activities, business training, and student council. The Annual Fashion Show along with team and individual competitions help students showcase their unique skills and puts the skills that they are learning into play. Professional guest speakers can help the students learn how they reached the success that they are at and can give them tips that their normal teachers may not be able to provide. They can give insight on what clients are looking for and how styles can change so quickly. Field trips could be to local high-end salons where students can see first hand what stylist do everyday other than all the technical stuff. Volunteering and community activities can help get you more involved within your community and get your name out there to more people. You never know who you will meet while you are volunteering! Students can donate their time to give the less fortunate hair cuts and hair removal to help the less fortunate better their lives as well. This can help others while also helping them achieve the practice and training they will need to be successful. 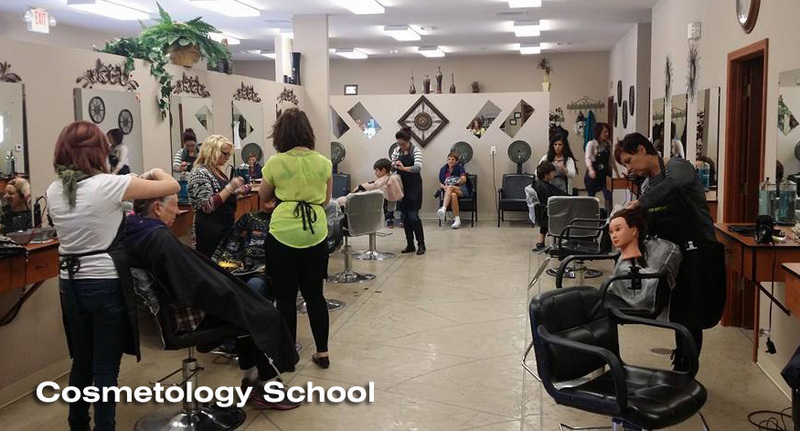 Business training and student council helps you learn the ins and outs of running a cosmetology business. Student council can improve your skills with working with others as you may co-own a business with someone and have to work together to make decisions for the good of the business. You will also have to be able to converse with your fellow employees or coworkers! All in all you will not get a cosmetology education from any other school like you would get from The Academy of Hair Design. They provide you with so much more than just the technical skills you need to pass a test.